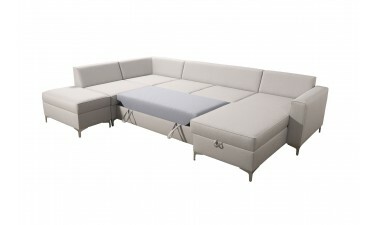 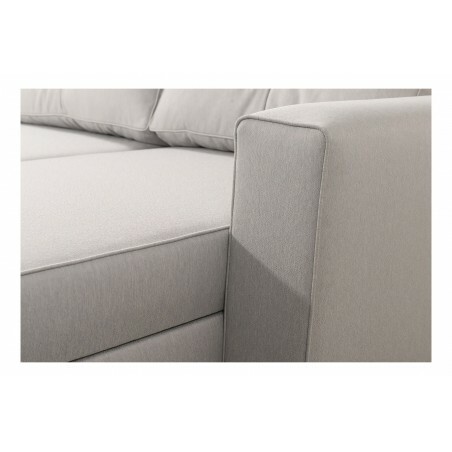 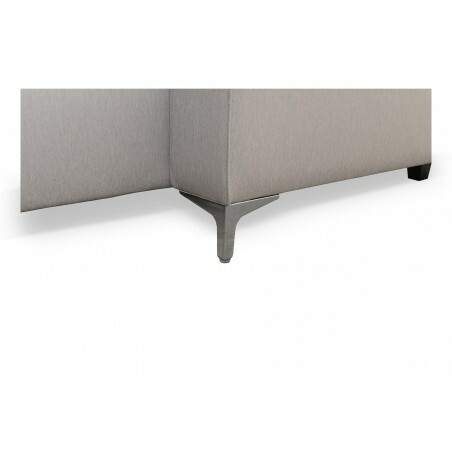 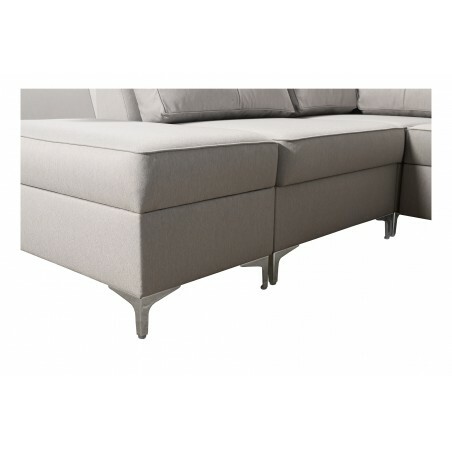 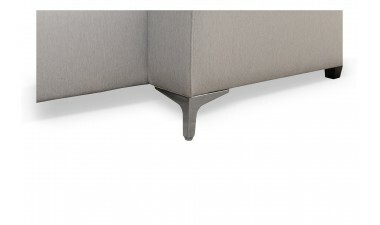 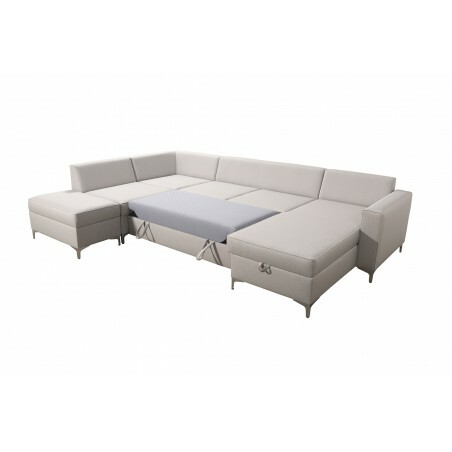 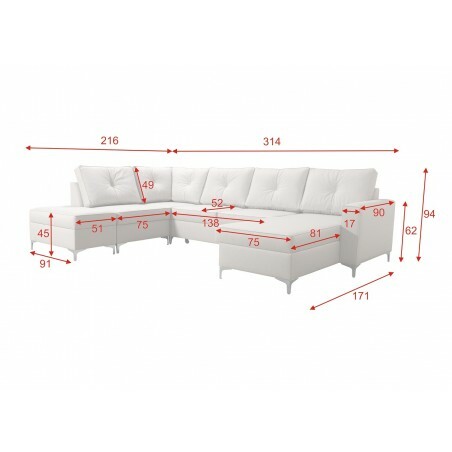 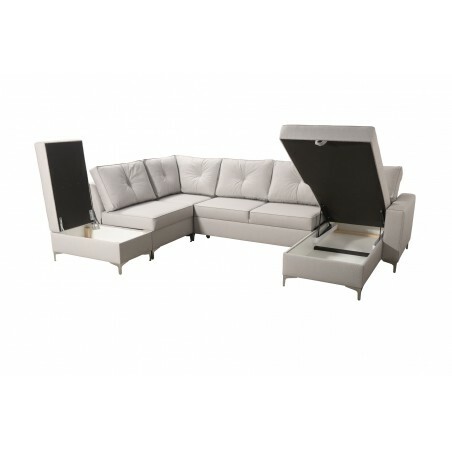 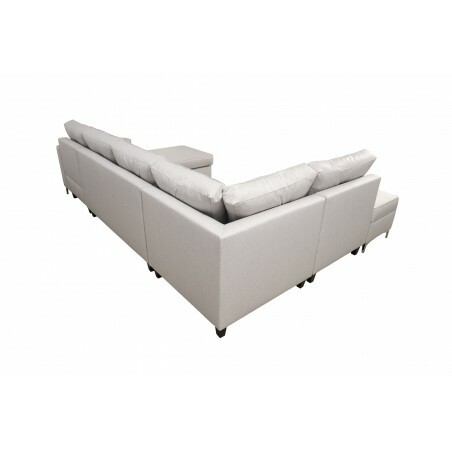 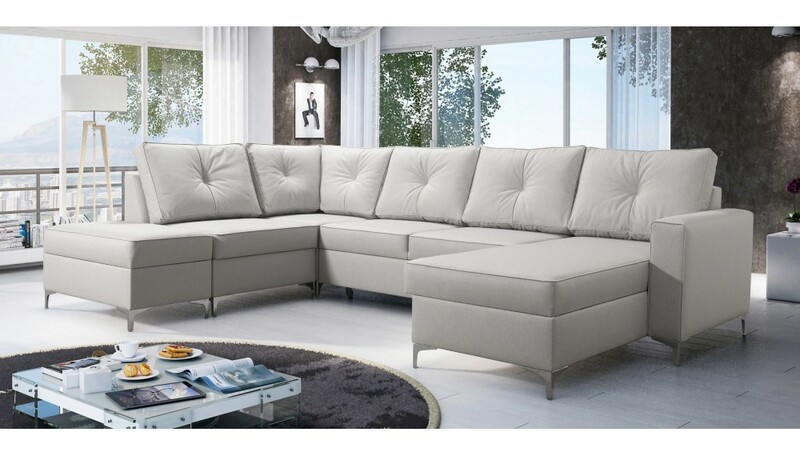 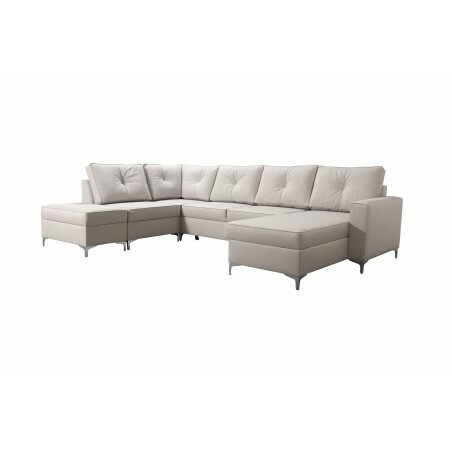 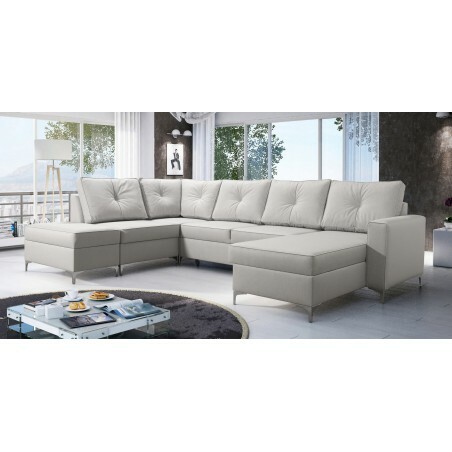 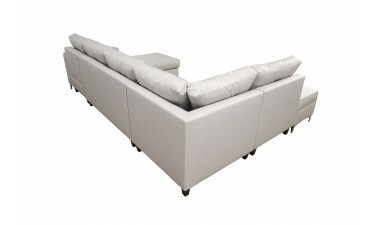 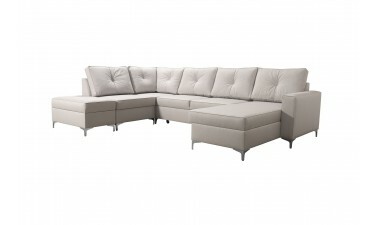 Stylish and very comfortable corner sofa Adonis IV with sleeping function and two containers for bedding. 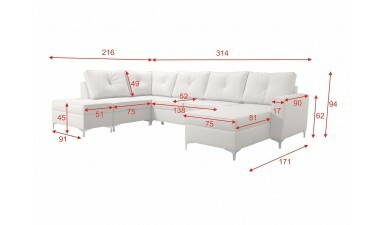 Built on a pine frame. 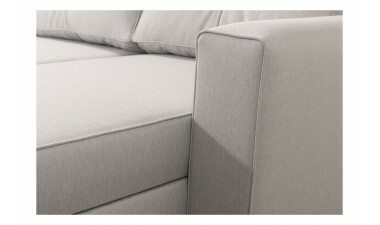 Medium hard foam HR used on the seat, under the foam has been used zigzag springs, giving extra comfort while seating. 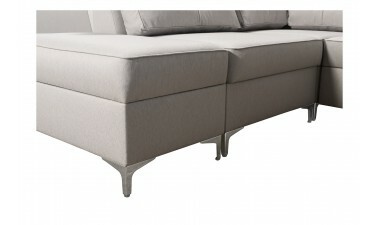 Chrom feet, quilted back cushions.